Why Is It Important to Follow the Doctor’s Orders When Injured in an Accident? Going to the doctor and following a doctor’s orders after an accident can be a challenge for some. The frustration of having one’s life turned upside down by an accident may be understandable, but compliance is important. Missing appointments, skipping treatments, and/or skipping physical and occupational therapy can jeopardize a personal injury case. Complete diligence in following a doctor’s prescribed regime can have a positive impact on a personal injury claim. Many insurance companies are quick to point out any non-compliance and argue that injuries are not as severe as they actually are or that injuries may be the result of a pre-existing condition prior to the accident. A doctor’s evaluation and treatment plan for an accident victim’s injuries can serve as an expert testimony in a victim’s case. Here is an example of what can happen when an accident victim suffers depression and anxiety, in addition to other health problems, directly following an accident. If the injured person is referred to a therapist and the therapist recommends the patient see him/her once a week, the accident victim must comply. If not, then there is the potential that the depression and anxiety may get worse and the victim may end up in the hospital. Should the victim be non-compliant with the treatment plan, then it would be difficult to later say the hospital stay was the result of the accident. Cooperation with the doctor who is handling the victim’s injuries is imperative. This cooperation involves following the diagnosis or treatment plan. Also, the legal issues involved with any case should not be discussed with the medical staff. Self-diagnosis can also be a problem. Sometimes patients decide a particular prescribed medication is no longer needed, and then stops taking the medication too soon. Gaps in receiving treatment or taking medications may flag the case as being one that could have had injuries from two separate accidents, instead of just the one. It is important to keep written documentation of every medical care provider the injured victim sees. In addition, keeping track of all doctors’ orders, treatment referrals and/or work or play restrictions will be needed by the personal injury attorney. It is important to keep physical activities to a minimum for several reasons. First, and most importantly, the victim does not want to make his/her condition worse. Second, the insurance company may have the victim followed to try to catch him/her doing activities that are not consistent with being injured. This is called surveillance. If the victim needs to exercise, this should be done inside the home where there is no risk of surveillance. “We at Spivey Law Firm, Personal Injury Attorneys, P.A. 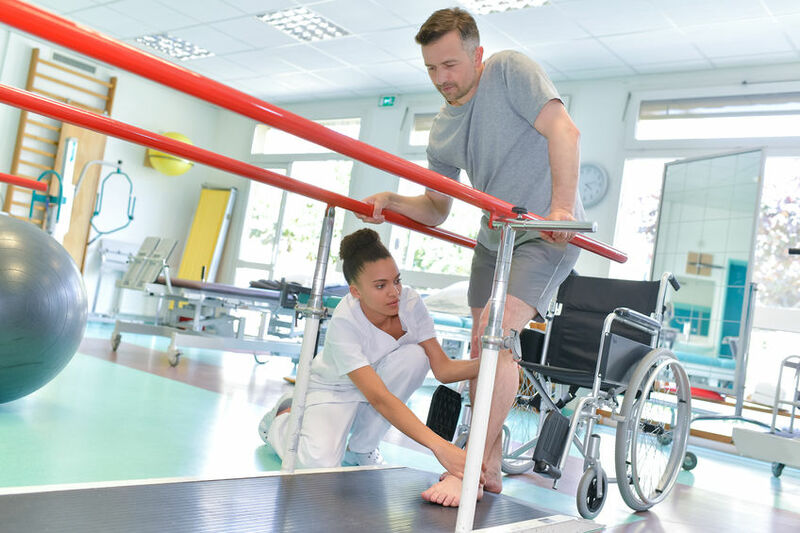 recommend all our clients follow strict orders regarding their rehabilitation following an accident. Should you or a loved one be injured in an accident, be sure to contact our experienced legal team. We will be able to work with you through the legal process, and we are available 24/7,” said Attorney Randall Spivey, Fort Myers Personal Injury Lawyer. Fort Myersl Personal Injury Lawyer, Randall L. Spivey is a Board Certified Trial Attorney – the highest recognition for competence bestowed by the Florida Bar and a distinction earned by just one (1%) percent of Florida attorneys. He has handled over 2,000 personal injury and wrongful death cases throughout Florida. For a free and confidential consultation to discuss your legal rights, contact the Spivey Law Firm, Personal Injury Attorneys, P.A., in Lee County at 239.337.7483 or toll free at 1.888.477.4839, or by email to Randall@SpiveyLaw.com. Visit SpiveyLaw.com for more information. You can contact Spivey Law Firm, Personal Injury Attorneys, P.A.in Charlotte County at 941.764.7748 and in Collier County 239.793.7748.